Keeping up with all of the cool hot spots around Rockville, MD isn’t always easy to do. So many great places to try and so little time. Live all of the trendy Instagram videos of your friends eating rolled ice cream, in reality right in Rockville. A 9 minute drive from The Daley, will make all of your rolled ice cream dreams come true! Bubble tea, smoothies, specialty teas and more are only a 14 minute drive from The Daley at this gem! Adventure and nature go hand-in-hand at this zip lining destination. 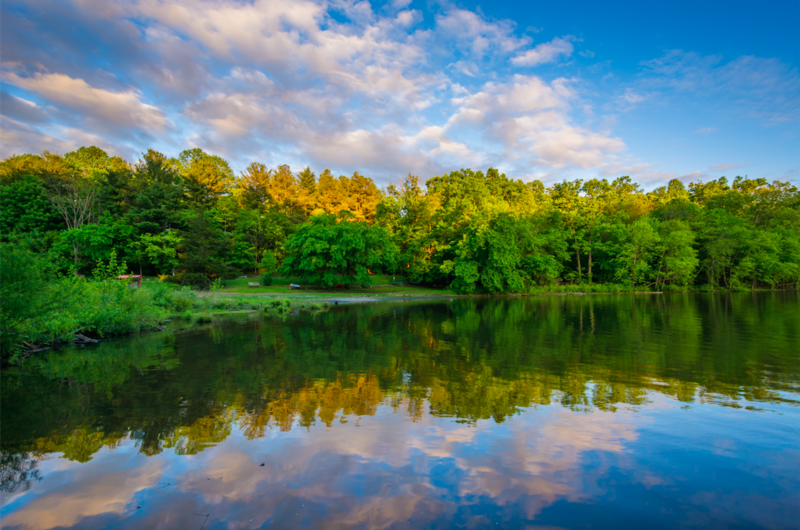 Suspended obstacles are scattered throughout the Lake Needwood and Rock Creek Regional Park scenery, packed with fun and fresh air. What makes this place even better, is the close proximity to The Daley. A 5 minute drive will land you in this natural adventure. Visit Montgomery County has a great list of hidden murals around Rockville (click link above). But, one of our favorites is the Hummingbird Stencil Mural on the side of an office building. Which mural is your favorite? Indoor rock climbing reaches a whole new height at one of the nations largest indoor climbing walls. Scale the rocks for fun or fitness, or both, and do it all close to The Daley — 13 minute drive. What are your best Rockville hot spots recommendations? We’d love to hear them and showcase them on our social channels to spread the love!